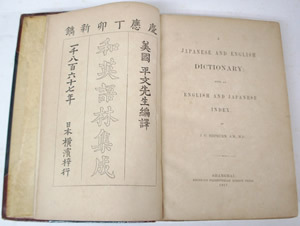 A Japanese and English Dictionary; with an English and Japanese Index. Shanghai: American Presbyterian Mission Press, 1867. 初版. (First edition) xii,558pp. (Japanese-English dic.)+132pp. 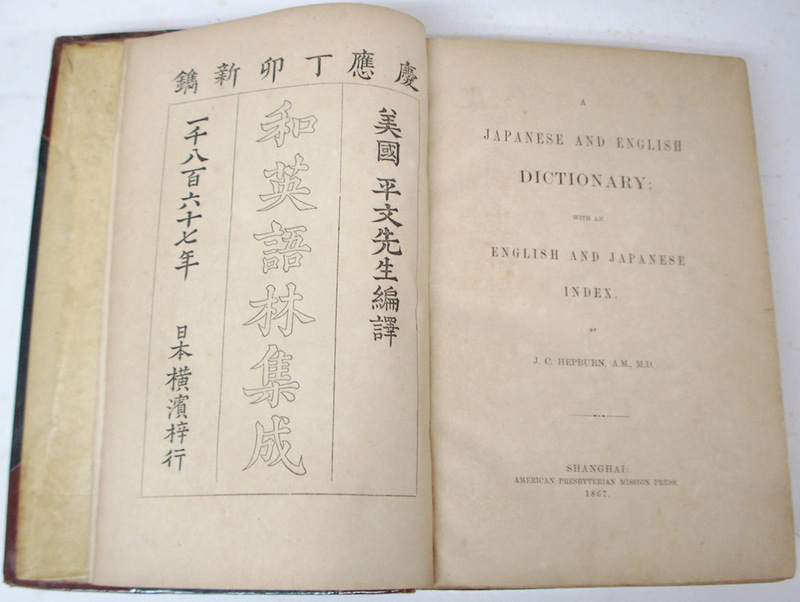 (English-Japanese index). 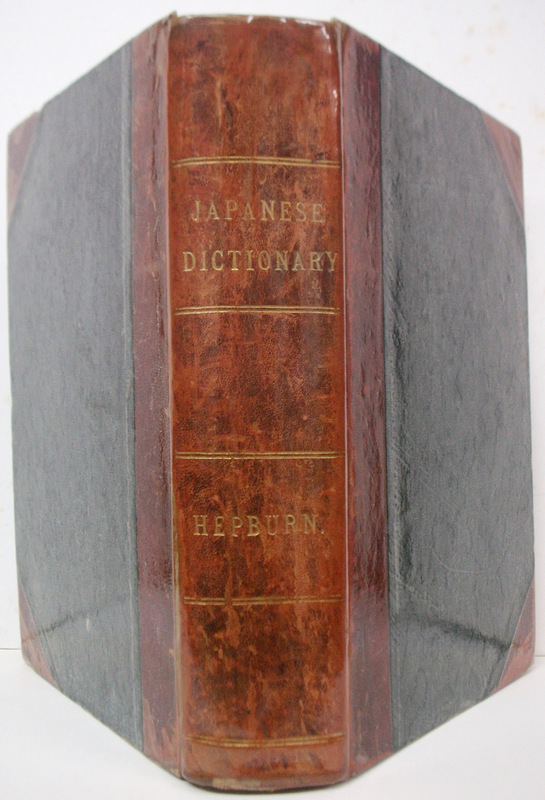 Half leather with cloth bound (protected with a vinyl sheet). All edges partly sunned. Sl.water stained on fore edge. Ink notation on bottom edge. Front & rear ep. & fly leaf partly stained. 314-319pp. Misbound. Side of 371-374pp. sl.chipped. [Index]: 17-18pp. &23-24pp. splited. Ink stained on p.22 & p.25.